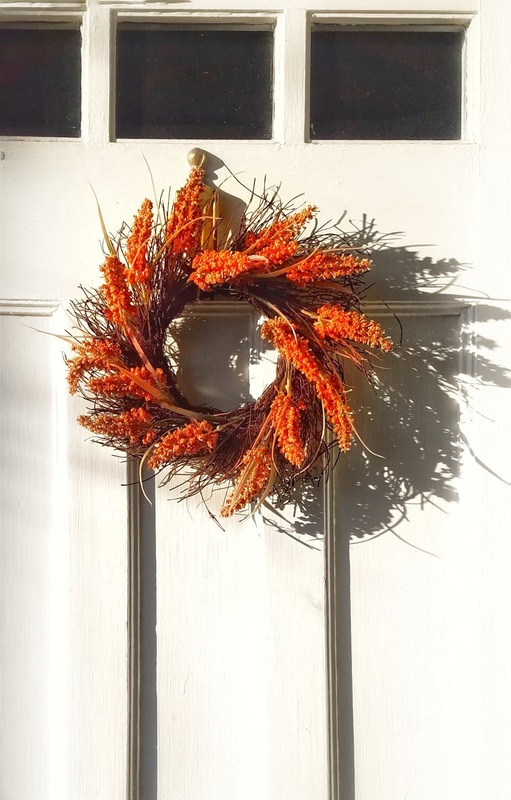 I bought this fall wreath on sale last summer. I am so glad that I did! 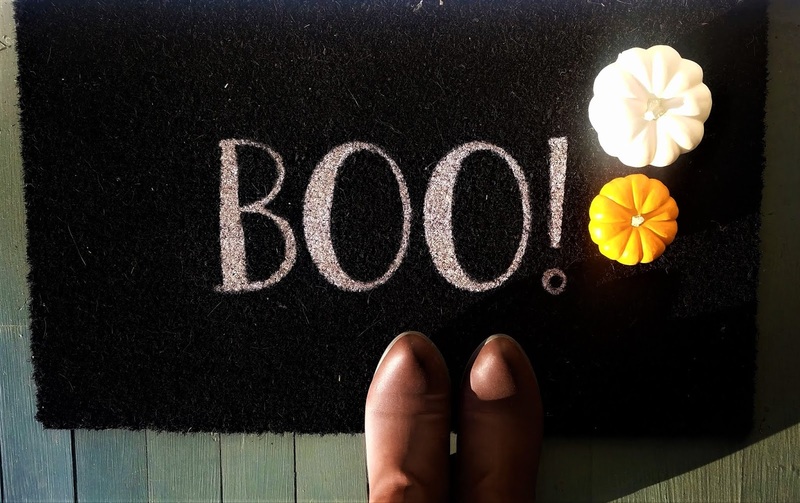 I just love this Boo !doormat that greets me as I come home. 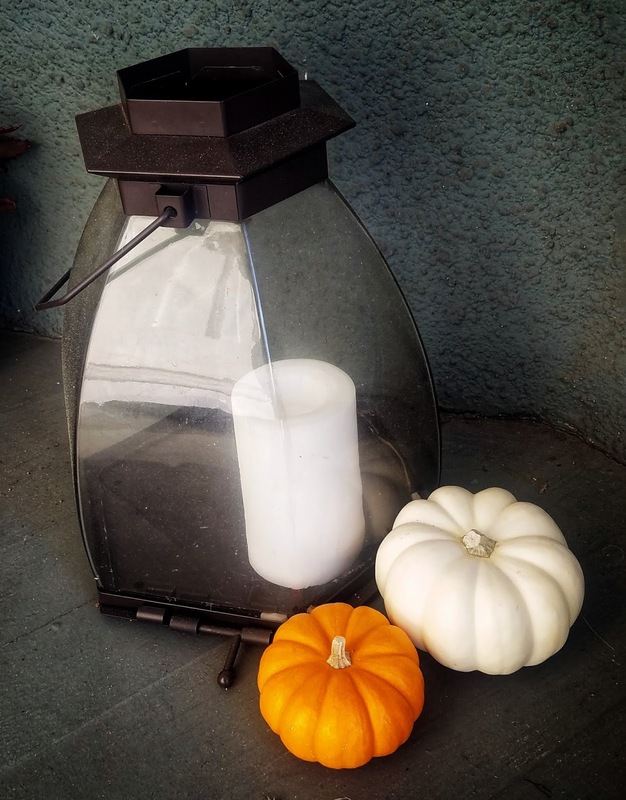 This candle automoticallylights up at night on mypatio. I would love to hear about what brings you joy during the fall season. Please share!